I kind of fell in love with the place. This is my 100th day on the road and I have hardly missed a casino in the last 5000 miles and this is my favorite. Mainly I play Texas Holdem and Black Jack, they have a Texas Holdem tournament every day at six though they are adding one on week ends at 2 PM. Usually a cash game afterwards. What really makes it my favorite place are the people are the nicest and most friendly people of an casino that I have been a player. I would also agree the slots are the loosest that I have found. Your about mile or two off US 101 if you use the right exit. Only a few RVs in the RV parking lot. Security checks the RV lot and your only a few miles from some magnificent Red Wood Forests. 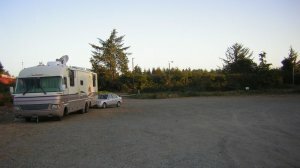 Parking for RVs is the open gravel lot out back. Pretty basic but they gait part of it off at night and they drive through periodically throughout the night as part of their security. Keep your eyes peeled for visitors flyers before you arrive. We found a coupon that boosts the players card from $5 to $20 and the odds of winning at this casino seemed to be the best we've seen in a while. We actually got paid to stay there with our winnings. 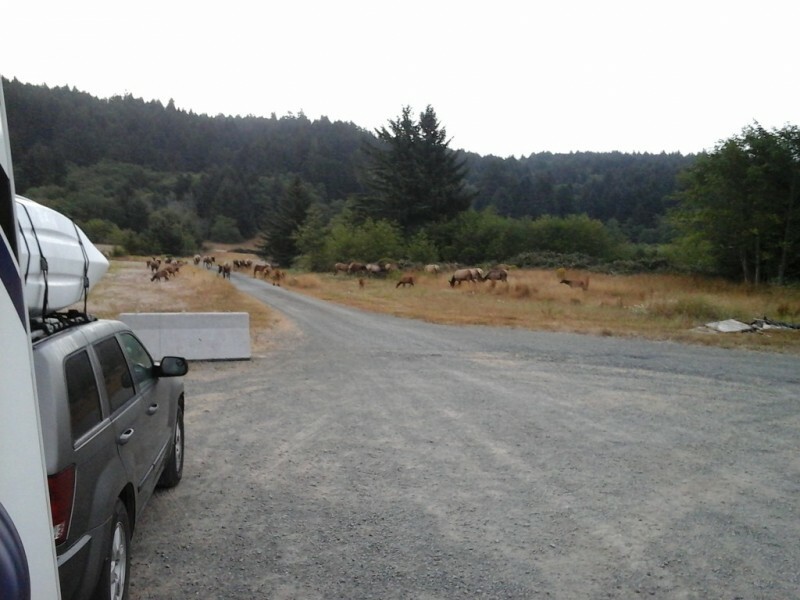 We were pleasantly woke up early by 2 dozen elk within feet of our rig. Casino itself is down a " long and winding road " some miles off Hwy 101. Didn't stay here. Just wanted to check it out and report. RV lot is flat gravel. Well lit with security cameras. Security staff said the lot was patrolled every hour- good. The casino ? I don't partake so I couldn't say-sorry. The menu looked like standard fare and the prices appeared reasonable. I'd stay there and feel safe. This casino has a separate parking lot for RV's which is nice and quiet and patrolled regularly by security. It isn't paved but wasn't too bad even though it had rained recently. I was told 3 nts was ok by 2 guards. On the 2nd night at 7pm in the rain,i was told i had to leave immediately. There was well drilling going on were i was parked. I found the people rude.I did not eat there because i found them too expensive. I will never go back and i do not think it is worth anyone stopping.